We get it … you want muscle! Whether it’s more muscle tone or completely bulking up, you’re on a mission to gain muscle. Pick up any fitness magazine or talk to any fitness professional and you’re bound to hear lots of options on how to best achieve muscle gain for the muscular physique you’re hoping for. More than likely, you’ll hear about clean eating and the use of supplements – two popular tools to get your body where it needs to be for prime muscle gain. But which is it: clean eating or supplements? Or perhaps can you combine both for maximum results? 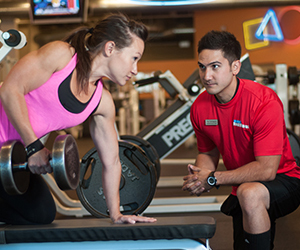 Let’s dig into both methods to find out what’s best for your health and fitness lifestyle. Clean eating is based on consuming foods that are as close to their natural state as possible and haven’t been chemically altered, filled with sugars, laden with fats, or fried. Our bodies know exactly how to process clean foods and easily break it down for use as energy and other vital internal bodily functions. Have a full belly. 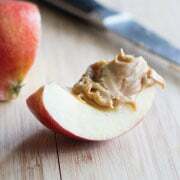 Clean foods don’t have as many calories as processed food, but it fills you up never leaving you hungry. Burn more fat. Your metabolism increases because you are constantly eating and burning fat for energy instead of storing it. Build muscle and burn fat simultaneously. Follow a clean bulking meal plan to burn fat, grow new muscle and meet recover demands of fitness training. Harder to build muscle efficiently. When losing fat, your body can’t build muscle as efficiently. To help combat this, be sure you’re in a calorie surplus – eat more calories. Lack of protein. When eating clean, don’t overlook the amount of high-quality protein required to build and preserve muscle. Dirty foods are okay, in moderation. It’s okay to splurge a bit and eat a “dirty” food (think: pop-tarts) once in awhile. Muscle-building supplements are big-ticket items on the health and fitness market today. Most supplements are designed to do one of two things: allow a greater load to be placed on the muscle by increasing the ability of the muscle to produce a force, or increase a muscle’s ability to recover, re-build and form new fibers. Helps fill the protein gaps. 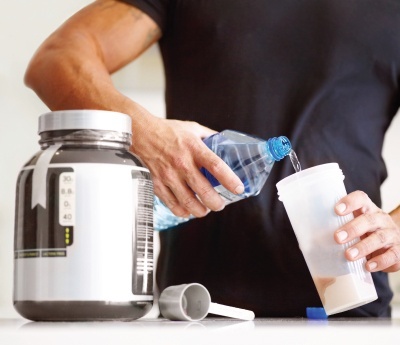 If you’re having trouble getting protein in your daily diet, adding a protein powder supplement could help fill the gap. Fuel energy into muscles. Some supplements, like creatine, are primarily used for high-intensity, short-duration exercises to help you work out harder and longer, and recover faster. Extra support is good. One supplement won’t do the trick without hard work, but having extra support by using a muscle-building supplement surely is helpful. You have to do the work. Supplements can both help you build muscle, but only if you’re doing the work to build muscle – working out and lifting weights. Stay away from certain ingredients. Avoid high-priced supplements that include many other ingredients like caffeine, fat loss boosters, testosterone precursors, or a long list of unpronounceable ingredients. Don’t stack. Mixing multiple muscle-building ingredients is called “stacking” and can be unhealthy and quite risky if you don’t know what you’re doing. Do your research and do what is right for your lifestyle and makes the most sense for your fitness and health-related goals. One supplement or one clean eating meal won’t do the trick for maximum muscle gain – it takes a well-balanced diet, strong fitness plan and a lot of hard work to achieve your goals.